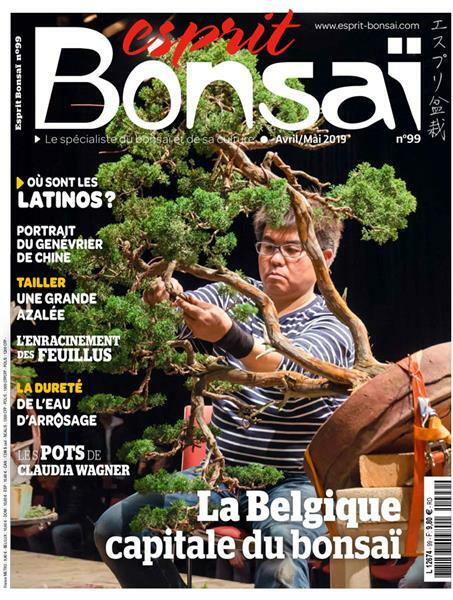 Esprit Bonsaï : Esprit Bonsai goes International ! We at Esprit Bonsai are proud to be able to present to you the first English-language issue of this magazine, which we founded in France 11 years ago. It is not a technical magazine, even though it naturally covers the techniques that need to be learnt for shaping trees. It is not an art magazine, even though bonsai is undoubtedly an art. It is not a celebrity magazine, even though Esprit Bonsai often includes features about the key people in the field. 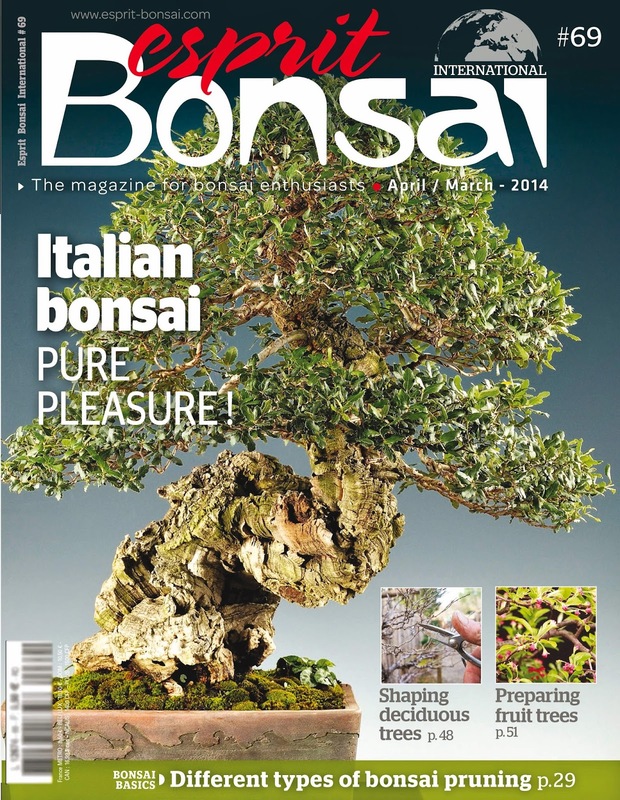 It is not a news magazine, even though we present all the major events related to bonsai and its practice. As you will have understood, Esprit Bonsai is all these things at once: a magazine for everyone who loves, practises and wants to progress in the art of bonsai, with a respect for trees and nature. It is a magazine by enthusiasts for enthusiasts, which is not content simply to present techniques and great masters, but which also asks questions about the place of bonsai within the world, our lives and our daily rituals. A magazine with as much of an interest in the trees as in the men and women who create them, and as much in bonsai as in its setting, as well as in other artists such as potters or indeed kakemono painters. Essentially, it is a magazine which bears in mind that while bonsai is an art, it is also, and perhaps above all, an international community of men and women that has taken root across the globe. And our dearest wish is that Esprit Bonsai International might be its faithful ambassador and advocate. 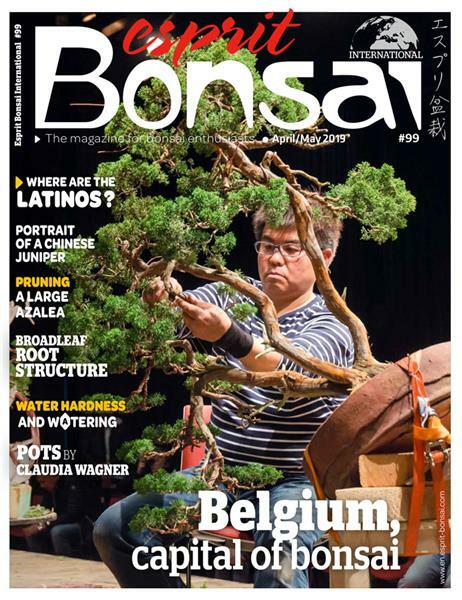 Votre magazine Esprit Bonsaï, que les Anglophones vous envient, sera traduit en anglais à partir du numéro 72 et sera donc distribué à l’international sous le nom : Esprit Bonsai International… Les amateurs de bonsaï et d’ikebana pourront ainsi profiter des mêmes informations que vous, Francophones. Des opérations de parrainage seront proposées ! Qu’on se le dise !